You press the start button on your washing machine and you hear a sound. It sounds something like “clunk, clunk,” within minutes of starting the wash. You wonder, of course, what is making that noise. All you had thrown in, in your washer was a few t-shirts, shorts and bathrobes. Suddenly, you realize with horror that your iPhone was in one of your pockets. 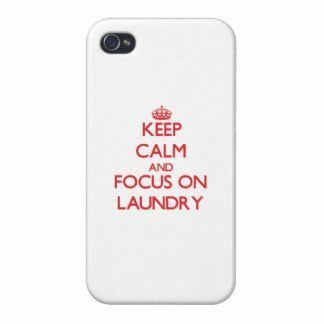 “Not the iPhone!” you exclaim- as you pull open the door of your washer and reach into the dripping mass. Your iPhone is precious, your instant connection to everything. It is your companion, your beloved tech toy, and now it is soaking wet. Desperately, you shake it gently in hopes of dislodging the water, thinking that it may still survive. After all, it had only been in the wash for a few minutes. As it happens, there will still be text on the screen, but within moments, it will start to waver and blink. Afterwards, the screen will go dark and the phone will die. They say we always hurt the ones we love. How we love our smart phones, and in so many ways do we hurt them. Technicians and managers at cell phone repair shops can tell you about all the endless stories and rescue operations they have witnessed. There are of course happy developments but sad ones as well. They have seen it all: phones have been dropped, drowned, run over by cars and even chewed on by various animals. They say even Apple technicians have accidentally thrown their phones in the wash before. We just depend on our phones so much that we even take them to the bathroom with us. Is my laundered phone truly broken? Folk remedies claim that wet phones can be dried out by moisture absorbing rice or silica gel packs. You can try to put your phone in a box filled with rice, and start praying that it helps revive your phone. Remove the case and sim card first, then put it in a bowl of rice, keeping it somewhere warm. After a day, swap it for fresh rice. You should do this twice, each time for at least 24 hours. It is best to keep the phone in rice for three to five days, three days at the minimum before attempting to turn it on. After keeping it rice for the recommended time, you should then plug it in to charge. If it still won’t turn, your iPhone unfortunately is dead. Try not to beat yourself up about it. After all, it was an accident… and one expensive load of laundry. Sometimes, however, the rice trick can work wonders. Don’t be impatient and try to charge / power it on until it’s dried for several days. If you wait for the recommended amount of time- your patience will be rewarded. We can always be thankful that our iPhone was not dropped into a large toilet at a mall and flushed down the drain. Believe it or not it has happened- but that is a story for another day. Good luck with your smartphones, everyone! Try to be careful and keep them safe. If they do end up in your laundry we wish you the best of luck! iGotOffer.com: the best place to sell my old iPhone online. Top price guaranteed. Free quote. BBB A+ rated business.